Paul and Hjordy Wagnerâs book Ready or Not … Theyâre Gay details their sonsâ experiences coming out. Eau Claire residents Paul and Hjordy Wagner have a lot to celebrate. After enjoying busy careers within the Eau Claire School District, the Wagners, like most recently retired couples, are now spending their free time traveling the country to visit old friends, indulging in their hobbies of antiquing and collecting (they share a passion for Wizard of Oz mementos), and spending time with family members. They are healthy, happy, and looking forward to whatever adventures the future brings. In fact, this couple is already well into their first adventure, as they celebrate the success of their recently published book, Ready or Not … They’re Gay. 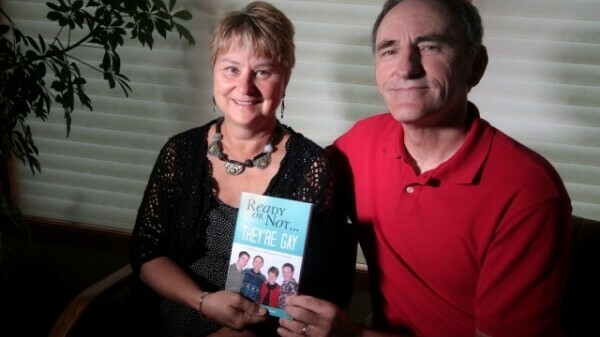 The book follows the couple’s journey from the time their oldest son, Brad, told them he was gay at age 19, then five years later, when younger son Andrew came out to them at the same age. The couple, who had little previous experience with the LGBQT community, was shocked. After a sleepless night, they made the decision to accept their sons unconditionally – and their adventure began. That new experience prompted Paul and Hjordy to write their book. As they spent the first few years after their sons’ announcements getting to know members of the LGBQT community, the amount of people who’d been shunned by parents, friends, and coworkers because of their sexuality astounded them. With the permission of their sons, Paul and Hjordy began chronicling memories and experiences, as well as those of family members and even their minister, with the hope that sharing their story will help families in similar situations begin their own journey of understanding in a healthy, positive way – and know that they are not alone. Emily Kuhn is a writer and mother of two in Eau Claire.